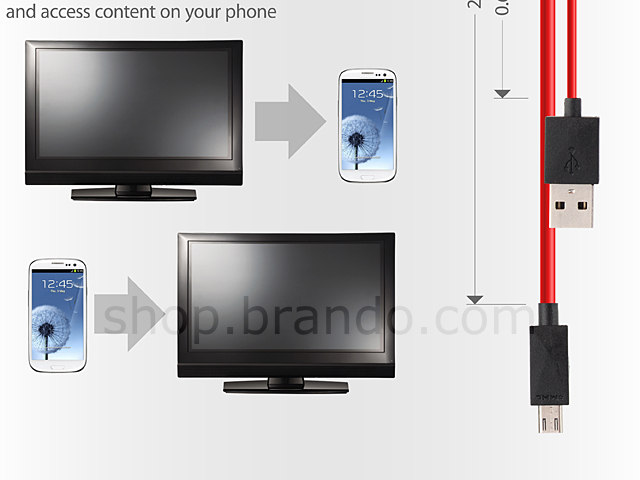 Watching video on your big HDTV screen is always much enjoyable than on your portable device screen. 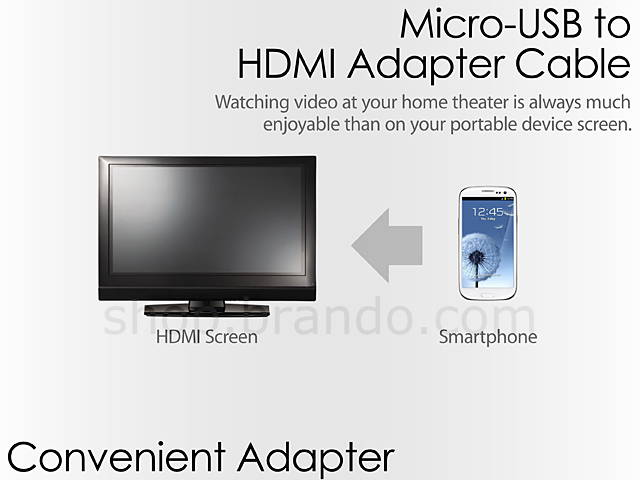 If you have your videos on your Smartphone or tablet, you now can watch them at your home theater. 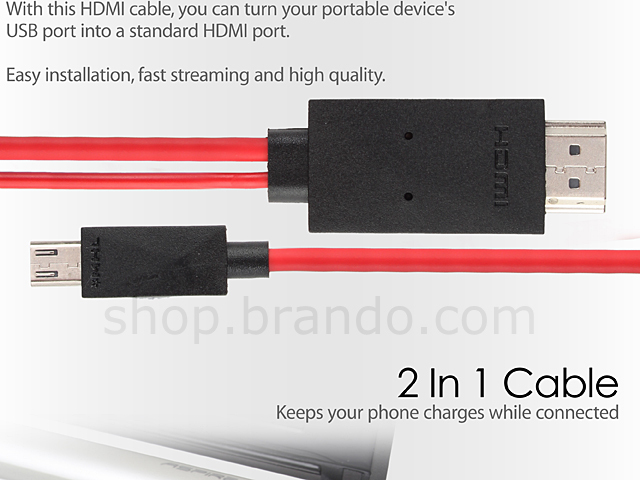 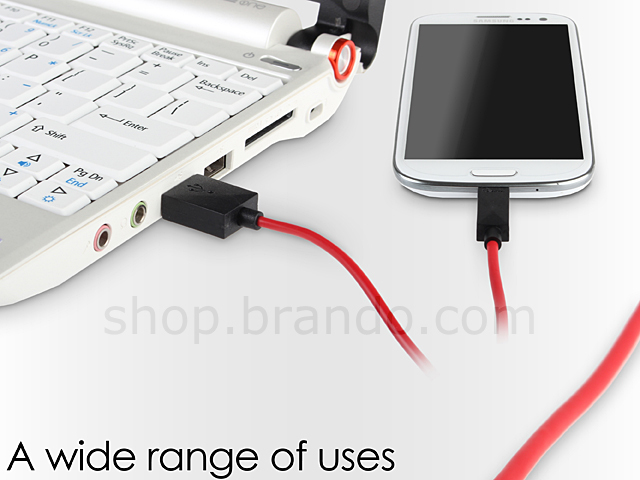 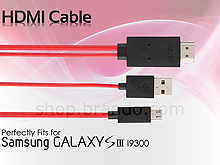 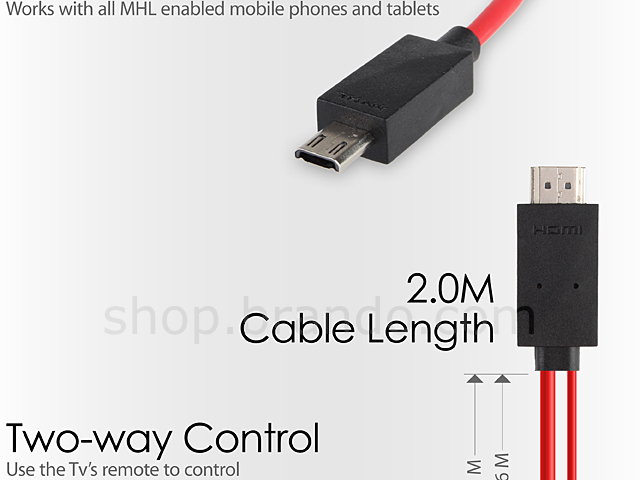 With this HDMI cable, you can turn your portable device's USB port into a standard HDMI port, streaming video from your Smartphone to your monitor or TV. Easy installation, fast streaming and high quality.